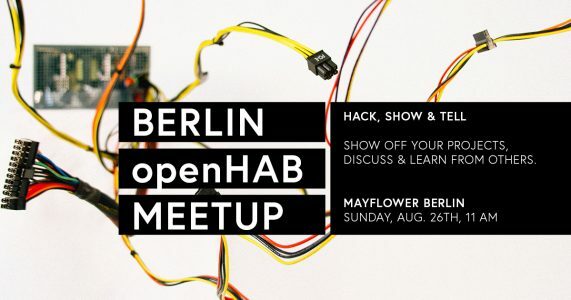 The second Berlin openHAB meetup will take place on Sunday August 26th at the Mayflower offices in Kreuzberg. This is a a meetup, hack, show'n'tell of openHAB enthusiasts: show off your projects, discuss the project and learn from others. Wifi, displays, food, drinks and comfortable seating. Just bring your laptop, ideas, neat hacks, rulesets and hardware and let's hack on home automation together.